We are manufacturing Plastic Tubs with the capacity of 32 ltrs and more. We are a leading firm for providing an excellent quality range of Fibreglass Bathtub. Due to the vast acquaintance, our firm is accomplished to present Plastic Baby Bath Tub to our patrons. Our FRP bath tubs are configured with latest technology and are specially designed by keeping in view the modern market trends. Pristinely polished this item is in mass demand because of its luster. It is one of the magnificent assets that add to the charm of any bathroom. 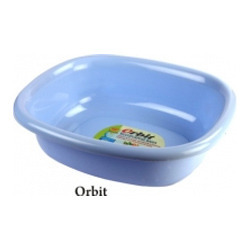 We are offering a comprehensive assortment of Plastic Tub (Ganga). It is designed and developed by our team using premium quality raw materials as per the current market trends. Available in different shapes, sizes and colors we have satisfied a wide client base with our durable product. Exeed Engineers (i) Pvt. 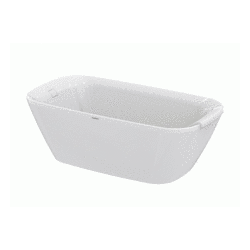 Ltd.
We are offering the best quality FRP Bathtubs. The Big Plastic Bathtub that we offer are made up of excellent raw material and is made with the help of latest technology. FRP Hip Bath Sitting type tub offers a comfortable seating and is useful in treatment of ailments of the Pelvic region, Scintica, Lumbago etc. Made of light weight FRP material and hence easily portable. Size : 92 cm (h)x 75cm (top dia. )x 46cm. We are dealing in FRP Bathtub and offers it at a very competitive price. The material used to manufacture the product is of premium grade with the help of latest technology. Frp tub used for both industrial acid resistance and in domestic too. Made as per customised sizes and thickness.